Old Colony Heating, Air Conditioning & Plumbing is proud to serve the Hanson community! About Hanson, MA - Happy to be your hometown Heating & Air Conditioning Contractor! 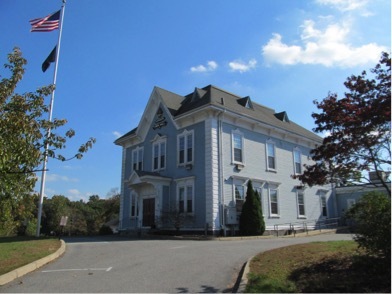 Hanson, Massachusetts is a Plymouth county town with approximately 10,200 residents. The town was originally settled from portions of Pembroke in 1632, and it was officially incorporated in 1820. Today, Hanson is a primarily residential community with some agriculture and cranberry farming. In fact, Ocean Spray was originally headquartered here before relocating to Plymouth, MA in the 1970s. There are three main neighborhoods in this community: Monponsett, Burrage, and Brentwood. Hanson is home to two elementary schools, but once students reach 9th grade, they’ll attend school at Whitman-Hanson Regional High School in neighboring Whitman. As a mostly residential town, Hanson isn’t home to any major tourist attractions, but there are still some prominent businesses located here. There are several destinations for people who are in need of some pampering, including Hansun Tan, Nail Delight, and Head Start by Tony. Both visitors and residents alike may enjoy a stop at one of Hanson’s most popular restaurants, including the Meadowbrook Restaurant, Heidi’s Hollow Farm, and the Olde Hitching Post Restaurant. There are also several specialty shops located in town, like Hanson Hobby, the Country Thyme Shoppe, and Davis Silver Company. Depending on the time of the year, you may need to use climate control systems in order to stay safe and comfortable when visiting Hanson. The summer months are often hot and humid, with average July highs reaching the 80s. However, since the air is often thick and muggy, it can feel even warmer while becoming especially uncomfortable for people with asthma and other breathing disorders. Residents will look forward to getting home into their air conditioned houses on these days. The winter months require the use of a heat pump or furnace system in order to stay safe. While average highs in January – the year’s coldest month – tend to reach the mid-30s, lows will fall well below freezing overnight. An energy efficient air conditioning unit is needed in order to stay safe and to keep your most expensive investment – your home – safe regardless of outdoor conditions.